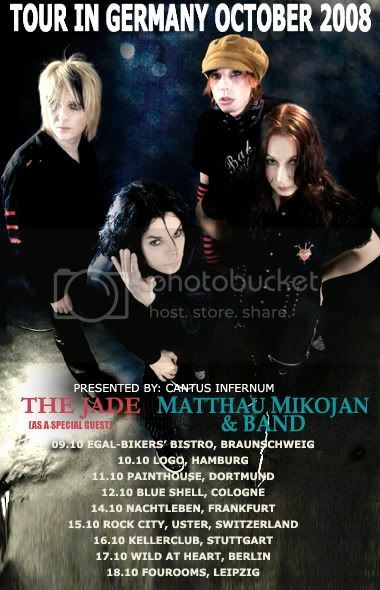 MATTHAU MIKOJAN & BAND & THE JADE (AS A SPECIAL GUEST) + LOCAL SUPPORT!! 18.10.08 at 15.00-16.00 Uhr X-Tra-X Store Brühl 10-12 LEIPZIG (shop will close at 16. ← Previous Previous post: Helldone Tickets On Sale 10/15!